The Christmas Applique quilt I quilted for Lisa Bongean that is appearing in Fons&Porter Love of Quilting. I blogged about it here. It will be in the Nov/Dec 2012 issue coming out in October. 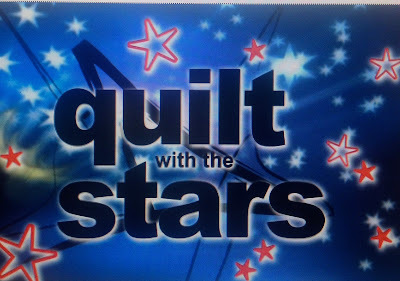 Anyhooo, Lisa was recently featured in the latest issue of the magazine in the section called "Quilt With the Stars." I remember talking to Lisa last spring after she returned home from shooting the show and she mentioned that they showed the quilt. Lisa didn't really go into detail, but I thought "that's really cool." I was just thrilled to find out which issue the quilt would be in. Soooooooo, imagine my surprise when I start watching the first video and see the quilt hanging in the backdrop!! It is a great video, with Mary Fons interviewing Lisa. Lisa discusses how she got started. Very interesting, but I could hardly concentrate because I was staring in wonderment at the quilt!! LOL!! Now moving onto the second video in the series...my personal favorite...the trunk show. Oh yes and there was "my" quilt front and center. I could hardly stand myself!!! They were going around the room and talking about all the gorgeous quilts and then finally they start talking about the quilt. BUT wait... then they actually talk about the quilting AND me...Linda Hrcka. I literally fell out of my chair!!! No joke. I have only watched it like a dozen times. LOL. It's still hard to believe. Honestly, I get butterflies in my stomach every time. :-) I am blushing with gratitude. Thanks LB. Funny, my very first quilt was a Fons&Porter pattern. The quilt hanging here. In order to watch the 3 part video, you do have to login or create a login. It is super easy, though. Free. Well worth it to see the videos. The third video features the great wool project in the magazine. :-) So grab your coffee and go check it out!! Well you are a quilting star for sure and deserve to have your gorgeous work shown and talked about. Congratulations. Sounds like you've come full circle with Fons and Porter. Congratulations.. you deserve the highest compliments on your quilting. It is simply amazing. How fun to have your work in a magazine. :D Congratulations! Aww...that's wonderful! You are so very talented so there is a reason those quilts are spotlighted! I have a similar experience with a phone call...still have it on my phone! LOL. Kudos to you! Oh congratulations to you again, Linda! As I've said before, you are quite the quilter celebrity and you really do deserve it as your quilting is quite stellar! Congratulations! I'm going to leave this post window open in my browser to remind to watch the videos this afternoon with a cup of tea. 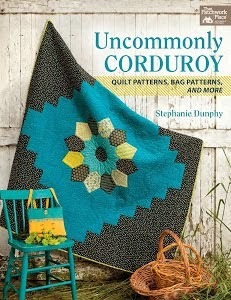 I love that quilt and the colors and your quilting is gorgeous, really beautiful design to show it off. Oh you're soooo funny!!! Good on you it's a beautiful quilt. And the quilting is gorgeous. I'm so happy for you! Enjoy!! Well if anyone deserves to toot their own horn, it's you, Linda! Congratulations! Revel in the limelight! F&P was my first quilt magazine and a quilt from them, too! 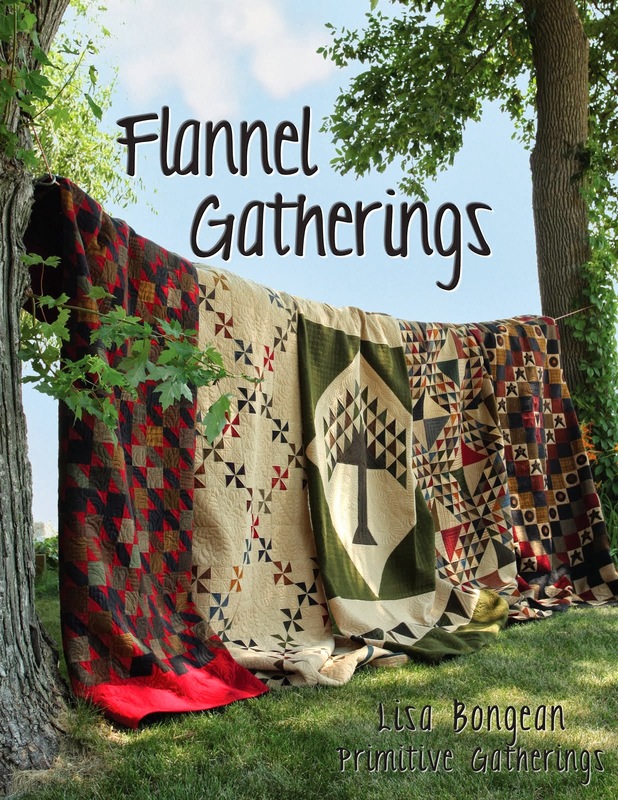 I considered it my "Bible" of quilting! Linda your quilting is awesome, you deserved national limelight. I love PG patterns and your quilting makes them even more beautiful. I remember the black and red quilt from one of your older posts and thought is was amazing then! Now everyone will see that you are truly a talented quilter, I look forward to seeing more of your amazing work!! Honk Honk! Toot all you want! This is gd incredible. Congratulations. I watched the videos, and you deserve all the accolades you got! Woo hoo! 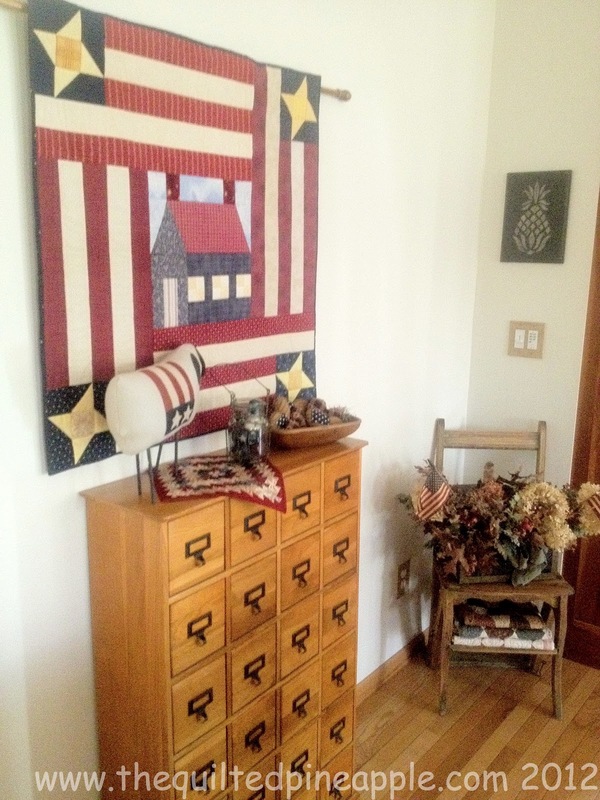 Your quilting is SO beautiful - you deserve to be proud and equally deserve credit given to your work! Congratulations! I watched this on Sunday and noticed the quilt and Lisa's mentioning of you and your talent! Very excited for you! You are very talented!! Congrats! Now I am off to watch the videos! I am excited for you. You deserve it! !